Atlanta: Hwa Fong & Asians & Friends - Atlanta, 1992. 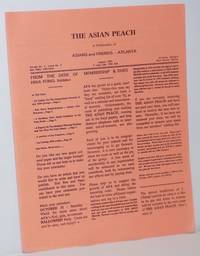 10p., 8.5x11 inches, very good newsletter on peach color stock. 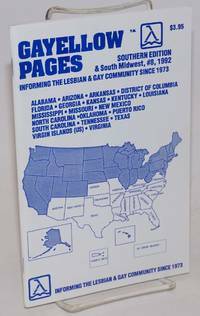 First two issues were apparently smaller, digest-format as the cover story points out the "new peach color and larger format" Gay Asians and others organization in Atlanta. 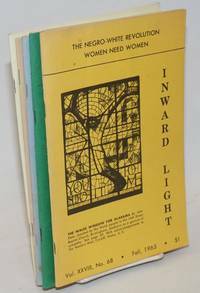 Washington DC; Bryn Mawr, PA: Inward Light, sponsored by the Friends Conference on Religion and Psychology, 1987. 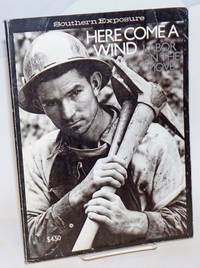 Five issues of the publication, staplebound booklet format, occasional marginalia or handling soil. Numbers present are 68, 81, 97, 99 and 103. Cover of no. 68 depicts a stained glass window donated by people from Wales to the 16th Street Baptist Church in Birmingham, where four girls were killed in a bombing. "Inward Light seeks to be an organ of expression and intercommunication among those concerned with cultivating the inner life and relating it to the problems of our time." Coverage ranges from civil rights to the new interest in the Goddess and memories of Jung. New York: The New Press, 2003. Hardcover. xvi, 477p., preface, notes, bibliography, index, b&w photo section very good first edition in boards and unclipped dj. 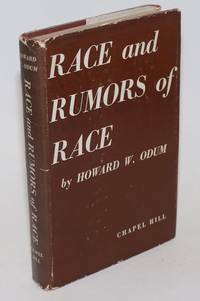 Charlottesville: University Press of Virginia, 1981. Hardcover. 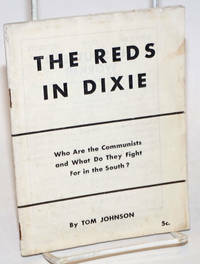 ix, 306p., illus.,very good condition in like dj. Avery Island, LA: Jungle Gardens, n.d.. [12p. 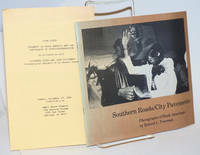 ], staplebound booklet, light handling wear. Illustrated souvenir booklet from the Louisiana attraction, with text reprinted from a feature in Central Manufacturing District Magazine. 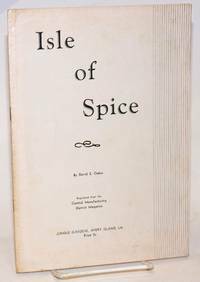 Describes the birthplace of Tabasco sauce. Undated, but notes the nutria farm, which was established in 1938 and played a large role in the unfortunate release of this invasive rodent into North America. New York: W. W. Norton & Company, 1981. Hardcover. 320p., preface, afterword, notes, index, good later printing in quarter-cloth boards and clipped with chip at head of spinedj. Chapel Hill: The University of North Carolina Press, 1943. x, 245p., hardcover in an edgeworn dj, personal bookplate. On the impact of African American servicemen in the South. Menlo Park, CA: The Layman's Press, 1965. Magazine. 36p. illus. report in the 64p. magazine, wraps slightly worn and soiled, pencil notation on first pahge, else very good condition. 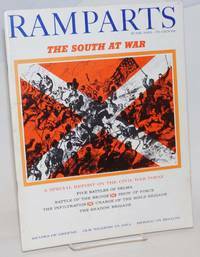 "A special report on the Civil War Today." 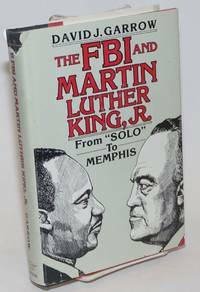 Five Battles of Selma include "Battle of the Bridge, Show of Force, The Infiltration, Charge of the Bible Brigade and The Shadow Brigade. Menlo Park, CA: The Layman's Press, 1965. Magazine. 62p., wraps, illus., 9 x 12 inches, wraps slightly worn and soiled, else very good condition. The magazine in its original incarnation as a Catholic literary quarterly. 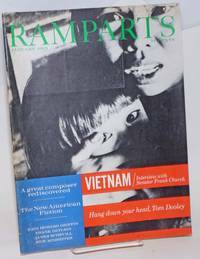 Cover story on the Vietnam war with an interview with senator Frank Church. New York [and] Oakland: International Center of Photography [&] Black Programs Committee, 1981. 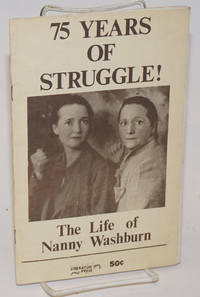 Pamphlet. 24p., softbound, 8x7.5 inch photodecorated stapled wraps. Exhibition catalogue : preface, introduction, chronology, b&w photos (15) from work by the African American photographer, Most reproductions vignette-size (small) save for the 4.7x7 inch cover showing the gal in the amazing hat. Item is bent along one margin (careless storage) and sun-faded along side opposite. As is, good-only/. Laid in is a single marigold copyshop leaf announcing the "Open Forum," it is creased at corner-tips, otherwise quite good; it names the celebrity participants, the donors, the sponsors, consultants, Black Program committee members (long list), volunteers (v.long list), and special thank-you's. Freeman grew up in Baltimore and became a member the street gang The Young Bloods. 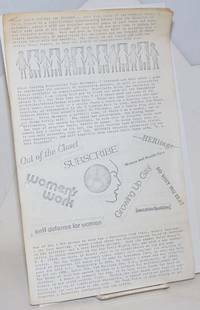 Chicago: Liberator Press, 1975. Pamphlet. 22p., wraps, 5.5x8.5 inches, toned at spine, else very good. 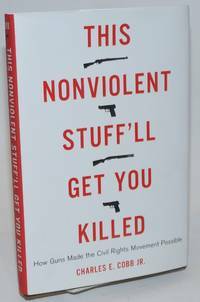 Short biography of, plus mostly oral transcription from, the Georgia-born radical activist. By Cobb, Charles E., Jr.
New York: Basic Books, 2014. Hardcover. 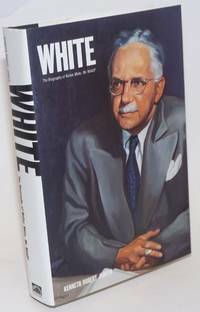 xiii, 294p., author's note, introduction, afterword, notes, index, photos, very good first edition in boards and unclipped red and white dj. 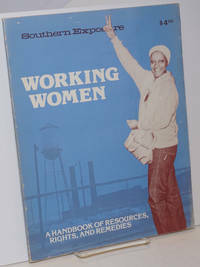 New York: Workers Library Publishers, 1935. Pamphlet. 47p., wraps a bit worn, staples rusting else good condition, 4.75x6 inches. *Seidman J97. 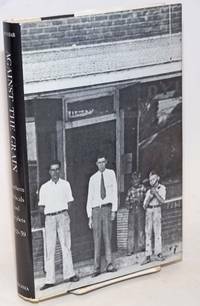 Includes sections on the Alabama mine strikes, Gorman's UTW Southern textile strikes, sharecropping, the Black Belt and other topics. 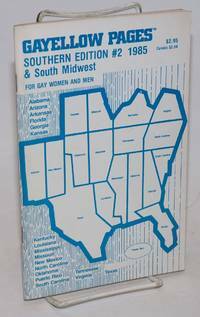 Chicago: Liberator Press, 1975. Pamphlet. 22p., wraps, minor creasing and wear else good condition, 5.5x8.5 inches. 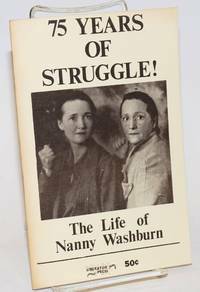 Short biography of, plus mostly oral transcription from, the Georgia-born radical activist. Chapel Hill, NC: Institute for Southern Studies, 1979. 222p., mildly worn wraps, illus., 8.5x11 inches. Second printing, with a different cover but apparently identical contents. Chapel Hill, NC: Institute for Southern Studies, 1981. 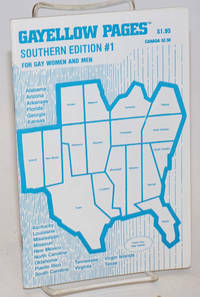 128p., single issue of the journal, mild handling wear.